According to Larousse Gastronomique, a macaroon is a small round, biscuit, crunchy outside and soft inside, made with ground almonds, sugar and egg whites. 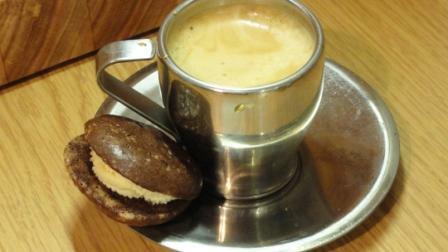 Macaroons are sometimes flavoured with coffee, chocolate, nuts or fruit and then joined together in pairs. Now if only I lived closed to you…Those 2 containers would be reduced to zero very quickly. I think I read you can freeze them? yup, but now I have two lock n go containers of these things!